Are you ready for some fabulous news here at Little Miss Muffet Stamps?! How about some Friday Freebies... and it all starts today!! Yeah! I'm going to have an assortment of images to share with you each week and the best part is you'll be able to participate in the challenges with them! Yeah! This week we're going to start with a bang and give away this extra special image from the Polka Dot Pals characters... named Amelie. 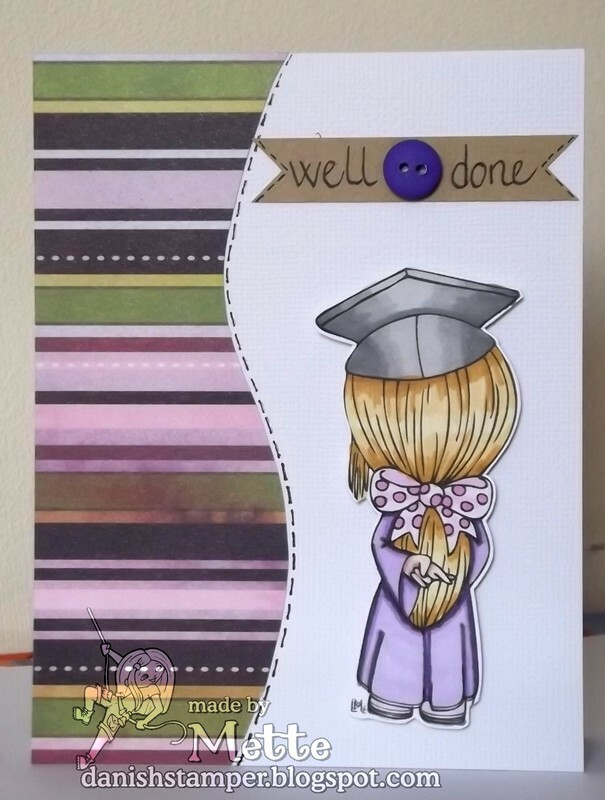 This one is inspired by all the graduation going on this time of year and also the hopes for the future. Thanks for coming by and have a great weekend! Come back on Sunday for another surprise. Thanks Barbara it is so cute. Thank you she's really adorable!!!! Thank you for your generosity! I've used this pose myself a few times lol. I love her! Thank you! She is adorable.. thank you..
She is so cute! Thank you so much!!!! I think she's adorable!! Thank you for sharing her with us. She is just adorable, thanks so much! 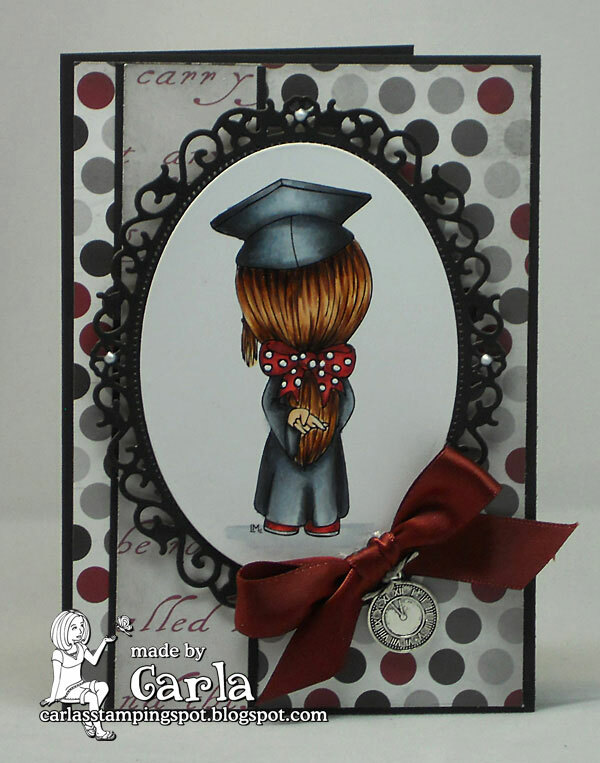 very cute girly image, it is now up to date with all the childeren that getting there diploma. thank you for this image! she is super cute... Thank you for sharing can't wait for a challenge to use her. Thanks for the free image. She is super cute. I love your card and love your coloring. So glad to have you with us on the Outlawz. Thank you for this cutie! Thanks ever so much for sharing a fantastic digi, this will so come in handy!! Amelie is adorable...thanks so much for the freebie!!! Thank you and I'm looking forward to Fri freebie:-) Yay! Thank you! She is adorable!! So sweet! I know just the person to give her to! THANK YOU! Thank you Barbara! Can't wait to see what you have planned. TY so much! so pretty!